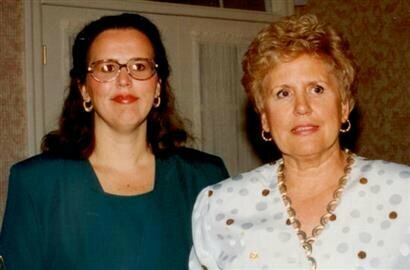 15 years ago, my mom lost her courageous, year-long battle with a brain tumour. 10 years ago, I shaved my head in her memory as part of my school's "ten 4 ten" fundraiser whose goal was 10 heads shaved to raise $10,000 for the Brain Tumour Foundation of Canada. On April 9th, I will be shaving my head for the second time as part of the "ten 4 ten 10th anniversary" fundraiser, now involving all 7 city of Guelph high schools. Please consider making a tax deductible donation to this worthwhile cause. 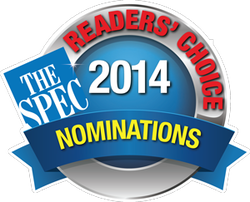 Voting has started for the Hamilton Spectator's Readers' Choice Awards. Click here to vote for your favourite book store! We're so excited to have been nominated for best used book store in the Hamilton Spectator's Readers' Choice awards! Voting starts tomorrow. To vote go to http://readerschoice.thespec.com/ and don't forget to tell your friends. We are unable ship books. Please visit us in person.